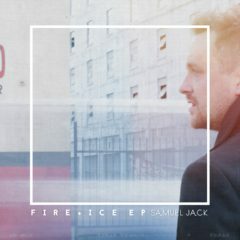 After releasing several singles in the past few months Samuel Jack’s new EP Fire & Ice finally sees the light of day. The release follows up Samuel’s Surrender EP which he released last year. “My third EP Fire & Ice is a MASSIVE one for me. It’s harder, bolder, and probably an even more honest account of myself and my experiences than I’ve ever shared before. I’m settling into a sound that’s been developing for a couple years now and I’m SO happy with the outcome. No bars held. No fucks given. I’m still here writing music and still using it as therapy, it’s still coming right from the soul and I’m still singing it like I mean it, there’s been ups and there’s been downs , there’s been fire and there’s been ice. I hope you enjoy listening as much I did writing it, thank you for everything. Press on. SJ X” Explains Samuel Jack about his newest release. The Fire & Ice EP is now available on all streaming an download services. Starting tonight Samuel will be visiting the Netherlands for a weekend filled with shows. See the full schedule below for more information on locations an dates.